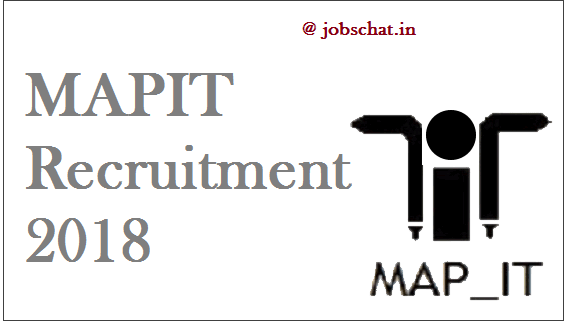 The Madhya Pradesh Professional Examination Board (MPPEB) unleashes the MAPIT Recruitment 2018 on @ peb.mp.gov.in. The department releases the 150 MAPIT E-Governance, DEGM, AEGM & Lead Trainer & Accountant Posts fro the eligible candidates. So willing ones should check these MAPIT Jobs and apply for these posts. If you want to know the eligibility details about these posts, once refer the MAPIT Official Notification. On that notification, all job-related details are mentioned. These MAPIT Posts Application process was based on the Online Mode only. The MAPIT Registration forms are available in this page. So collect it and apply for these jobs. The state of Madhya Pradesh want5s to gives the job opportunity for the unemployed candidates. As per the cause, they can release the MAPIT E-Governance Recruitment. All graduated and post graduated candidates are eligible for this recruitment notification. In the Madhya Pradesh Professional Examination Board (MPPEB) 150 posts are vacant for the willing aspirants. The posts are MAPIT E-Governance, DEGM, AEGM & Lead Trainer & Accountant. Postulates, if you want to apply for these jobs, should refer the MAPIT Official Notification. Post wise education details are mentioned in the below page. You should check and apply for it. DEGM Post – Applicants should maintain the BE / B.Tech / MSc in Computer Science / IT from Recognized University Or relevant experience with MCA / MBA (IT). AEGM Post – Must and should maintain the Diploma Course Certificate in Computer Application with a Bachelor of One Year. Lead Trainer Post – Candidates should have the BE / B.Tech / MSc in Computer Science / IT from accredited University. Or graduate with MCA / MBA (IT) or B.E. certificate from DOEACC / NIELIT. Trainer – Must hold the BE / B.Tech / BSc or BCA in Computer Science / IT from accredited University. The MAPIT Notification Application fee details are mentioned in the below page. For this MAPIT E-Governance Posts purpose, the board officials pay the highest salary. This notification selection process was based on the written test and interview. Candidates, who got the highest marks in the written test, those candidates are promoted to the interview level. Mainly this shortlisting process was totally based on the written test. So give the best performance in the exam which is conducted by the MAPIT Recruitment Notification. Postulates, fro this recruitment written test purpose, you can download the post relevant Syllabus in this page. In the MAPIT Recruitment Application Forms submitting purpose, candidates follow out a web page. Because we can place all links like official notification link and registration forms link. Postulates, first open the below link for download the @ peb.mp.gov.in MAPIT Registration Forms. In the registration, time should pay the application fee which is mentioned by the officials of Madhya Pradesh Professional Examination Board (MPPEB). Candidates remember one thing, you must and should complete your registration process on before the last date of 15th Sep 2018. Because, after that, the authorities can’t consider your application form and they are decided to conduct the written test on 13th & 14th Oct 2018.